A new study by researchers at the Ashoka Trust for Research in Ecology and the Environment (ATREE) has proposed a new approach of working with local communities and other institutions, towards restoration of the Edeyarhalli-Doddasampige Wildlife Corridor (ED corridor) near Biligiri Rangaswamy Temple Tiger Reserve. Very often, wildlife corridors are devoid of monitoring, and are subject to fragmentation and degradation, as local communities depend on them to obtain forest resources like timber, firewood, food and medicine. The ED wildlife corridor is one such critical wildlife corridor in Biligiri Rangaswamy Temple (BRT) Tiger Reserve, which connects BRT to adjoining protected areas in the Mysore-Nilgiri region. 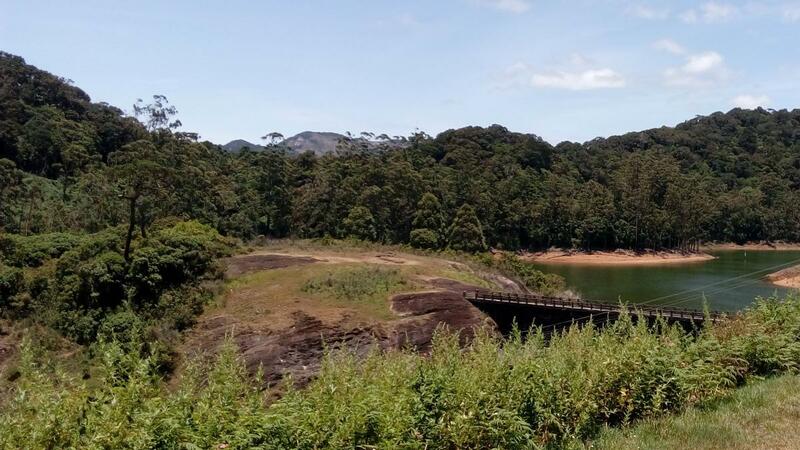 It also provides physical connectivity between the Eastern and the Western Ghats and is inhabited by 15 mammalian species including the Asian Elephant, Bengal Tiger and Indian Gaur. ‘Soligas’, an indigenous tribal community, and a few other non-tribal communities are the major inhabitants of this region, and they depend on the ED corridor for livelihood and sustenance. “The reserve has a unique characteristic of being a successful tiger reserve subject to the Indigenous Forest Right Act 2006, where locals cannot be deprived of their rights and resources. Therefore, community-based corridor restoration would be the practical conservation strategy in this area”, says Dr. Paramesha Mallegowda from ATREE, who is involved in the restoration project. Though there have been many restoration projects in India, what sets this project apart is that unlike others, this project has considered the dependence of local communities on forested landscapes, and hopes to change that trend by addressing both ecological as well as social well-being. The restoration project works mainly on three objectives; corridor restoration, involvement of grassroot organizations, and creation of sustainable livelihoods for local people. These objectives are aimed to improve the habitat quality of the corridor, support wildlife movement, reduce crop depredation by wild animals, and lessen the dependence of local communities on forest resources. In 2007, to widen the existing ED-corridor, adjacent private land of around 25.5 acres was purchased from local farmers by Wildlife Trust of India (WTI), International Fund for Animal Welfare (IFAW) and US Fish and Wildlife Services (USFWS), and handed over to the Karnataka Forest Department. Then in 2015, the research team at ATREE surveyed the corridor and its adjacent habitats, to find the most suitable local plants species for the restoration initiative, which would be useful to resident communities, as well as wildlife. The team also interacted with local communities living here to develop ideas for the restoration initiative. Initially, 5000 saplings of 10 suitable local plant species were selected and maintained in local community-run nurseries, to reforest the 25.5 acres of degraded land. Locals, as well as institutions like the Village Panchayat, Tibetan Association, Parisara Premi Sangha and Raitha Sangha have been participating and encouraging the restoration initiative. Some of the other key stakeholders and grassroot organizations of the restoration initiative are SAS – Soliga Abhiruddi Sangha, EDC – Eco-Development Committee and LAMPS – Large-sized Adivasi Multipurpose cooperative Society. The restoration programme will initially be handled by ATREE, and later handed over to the CCC – Corridor Conservation Committee, comprising of members from the local communities, grassroot organizations, and other stakeholders. The benefits of having a CCC-run restoration initiative include that, firstly the multi-stakeholders participation will work towards a common goal of restoring the degraded corridor landscape and enabling sustenance for local communities. Secondly, improving the connectivity between protected areas, will facilitate a more usable habitat for wildlife, hence creating a sort of ‘win-win’ situation for all stakeholders. “In the Indian scenario, wildlife corridor conservation has not gained much importance compared to individual charismatic animal conservation”, remarks Dr. Mallegowda. Thus, it is only logical that a different and inclusive approach be taken towards restoration of degraded corridors in this landscape. This study seems to have struck the right chord on that note.